We have been featured in Cruising World, New England Boating and most recently in Newburyport Magazine, among others. Check us out! 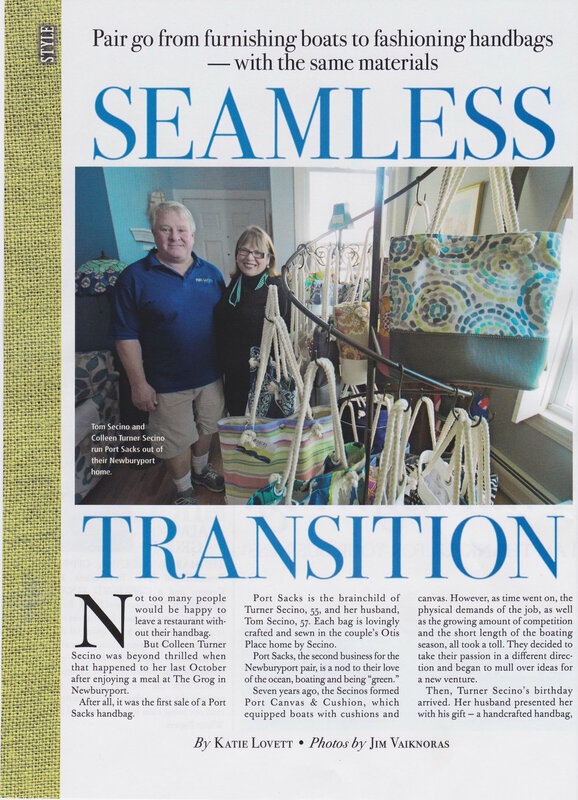 Newburyport Magazine did this great story for their Winter 2016 issue. 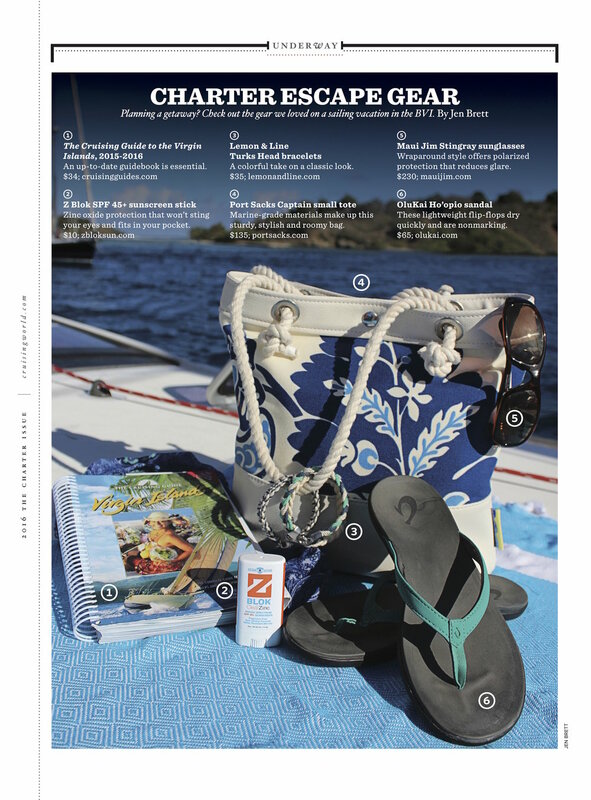 Cruising World Magazine featured our "Bluesin' for a Cruise" Captain's (small) sack in their 2016 Charter issue.